NAV, Heated Leather Seats, iPod/MP3 Input. i8 trim, Crystal White w/BMW i Blue exterior and Giga Ivory W/B Full Perf interior. CLICK ME! KEY FEATURES INCLUDE Leather Seats, Navigation, All Wheel Drive, Heated Driver Seat, Back-Up Camera, Turbocharged, Premium Sound System, Satellite Radio, iPod/MP3 Input, Onboard Communications System, Aluminum Wheels, Keyless Start, Dual Zone A/C, Blind Spot Monitor, Cross-Traffic Alert BMW i8 with Crystal White w/BMW i Blue exterior and Giga Ivory W/B Full Perf interior features a 3 Cylinder Engine with 369 HP at 5800 RPM*. OPTION PACKAGES AERODYNAMIC KIT. MP3 Player, Keyless Entry, Steering Wheel Controls, Rollover Protection System, Electronic Stability Control. WHO WE ARE Established in 1982, Pacific BMW has grown to become the premier Los Angeles auto dealer in the Southern California region. Throughout our tenure we strive to include the best possible customer service with top-notch repair/maintenance work and comprehensive new and used car, and SUV inventories. Horsepower calculations based on trim engine configuration. Please confirm the accuracy of the included equipment by calling us prior to purchase. Nav System, Heated Leather Seats, iPod/MP3 Input. i8 trim, Crystal White w/BMW i Blue exterior and Amido Black Full Leather interior. CLICK ME! KEY FEATURES INCLUDE Leather Seats, Navigation, All Wheel Drive, Heated Driver Seat, Back-Up Camera, Turbocharged, Premium Sound System, Satellite Radio, iPod/MP3 Input, Onboard Communications System, Aluminum Wheels, Keyless Start, Dual Zone A/C, Smart Device Integration, Blind Spot Monitor BMW i8 with Crystal White w/BMW i Blue exterior and Amido Black Full Leather interior features a 3 Cylinder Engine with 369 HP at 5800 RPM*. MP3 Player, Keyless Entry, Steering Wheel Controls, Rollover Protection System, Heated Mirrors. VISIT US TODAY Established in 1982, Pacific BMW has grown to become the premier Los Angeles auto dealer in the Southern California region. Throughout our tenure we strive to include the best possible customer service with top-notch repair/maintenance work and comprehensive new and used car, and SUV inventories. Horsepower calculations based on trim engine configuration. Please confirm the accuracy of the included equipment by calling us prior to purchase. Navigation, Heated Leather Seats, iPod/MP3 Input. i8 trim, Crystal White w/BMW i Blue exterior and Amido Black Full Leather interior READ MORE! KEY FEATURES INCLUDE Leather Seats, Navigation, All Wheel Drive, Heated Driver Seat, Back-Up Camera, Turbocharged, Premium Sound System, Satellite Radio, iPod/MP3 Input, Onboard Communications System, Aluminum Wheels, Keyless Start, Dual Zone A/C, Blind Spot Monitor, Cross-Traffic Alert. BMW i8 with Crystal White w/BMW i Blue exterior and Amido Black Full Leather interior features a 3 Cylinder Engine with 369 HP at 5800 RPM*. OPTION PACKAGES AERODYNAMIC KIT. MP3 Player, Keyless Entry, Steering Wheel Controls, Rollover Protection System, Electronic Stability Control. WHO WE ARE Established in 1982, Pacific BMW has grown to become the premier Los Angeles auto dealer in the Southern California region. Throughout our tenure we strive to include the best possible customer service with top-notch repair/maintenance work and comprehensive new and used car, and SUV inventories. Horsepower calculations based on trim engine configuration. Please confirm the accuracy of the included equipment by calling us prior to purchase. Heated Leather Seats, Nav System. E-Copper w Frozen Grey accent exterior and E-Copper Leather Exclusive interior, i8 trim. AND MORE! KEY FEATURES INCLUDE Leather Seats, Navigation, All Wheel Drive, Heated Driver Seat, Back-Up Camera, Turbocharged, Premium Sound System, Satellite Radio, iPod/MP3 Input, Onboard Communications System, Aluminum Wheels, Keyless Start, Dual Zone A/C, Blind Spot Monitor, Cross-Traffic Alert. BMW i8 with E-Copper w Frozen Grey accent exterior and E-Copper Leather Exclusive interior features a 3 Cylinder Engine with 369 HP at 5800 RPM*. OPTION PACKAGES AERODYNAMIC KIT. MP3 Player, Keyless Entry, Steering Wheel Controls, Rollover Protection System, Electronic Stability Control. 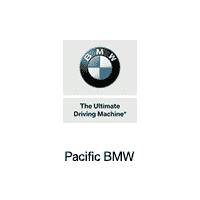 MORE ABOUT US Established in 1982, Pacific BMW has grown to become the premier Los Angeles auto dealer in the Southern California region. Throughout our tenure we strive to include the best possible customer service with top-notch repair/maintenance work and comprehensive new and used car, and SUV inventories. Horsepower calculations based on trim engine configuration. Please confirm the accuracy of the included equipment by calling us prior to purchase.